Court in Egypt sentences 11 supporters of ousted President to prison terms ranging from five to 88 years for rioting. A court in Egypt on Saturday sentenced 11 supporters of ousted Islamist President Mohammed Morsi to prison terms ranging from five to 88 years for rioting, the BBC reported. 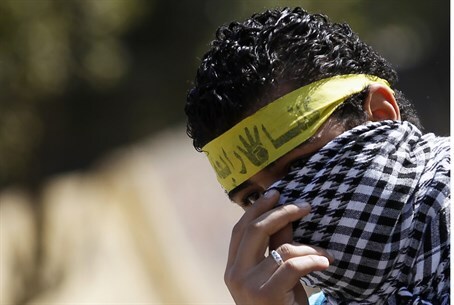 The defendants were arrested during a wave of protests that followed the ousting of Morsi last year. Five of the 11 people sentenced on Saturday were tried in absentia, according to the BBC. The charges against all of the defendants were linked to demonstrations in the town of Samallout triggered by the violent crackdown on pro-Morsi sit-ins in Cairo. Hundreds of people died and thousands were wounded in the operation by security forces. All those convicted on Saturday are able to appeal against the verdicts. In March more than 500 Morsi supporters were sentenced to death in the same court in Minya, south of Cairo. That mass sentence was condemned by the West, with the United States warning Egypt that executing supporters of the Muslim Brotherhood may affect the aid that Washington provides to Cairo.